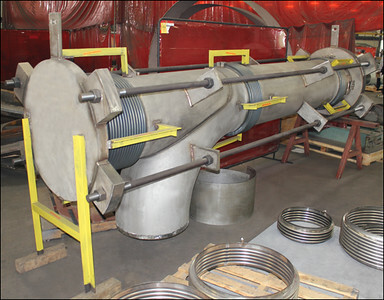 tied universal expansion joint with an elbow and reducer. 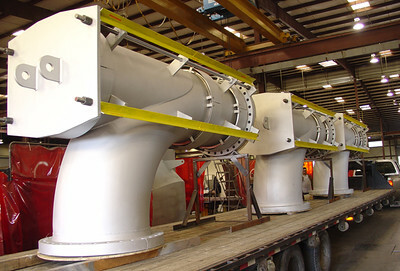 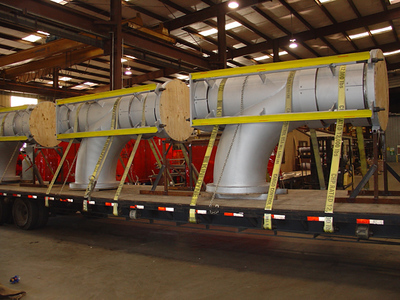 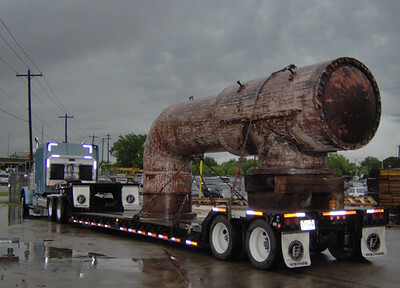 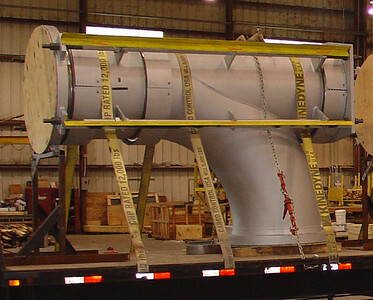 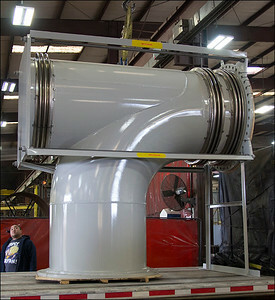 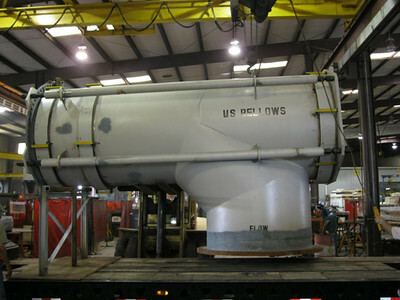 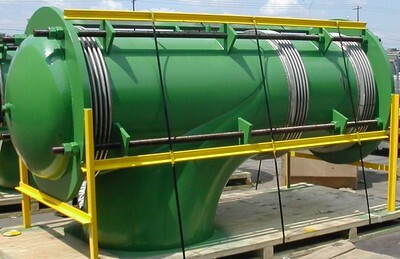 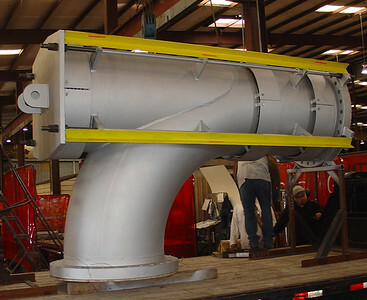 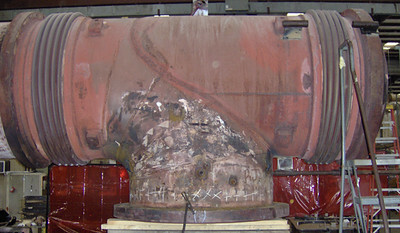 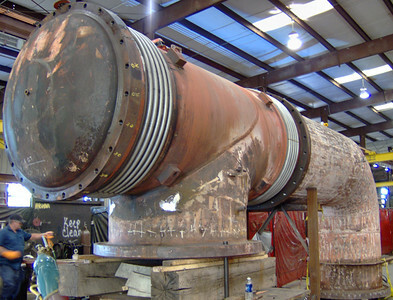 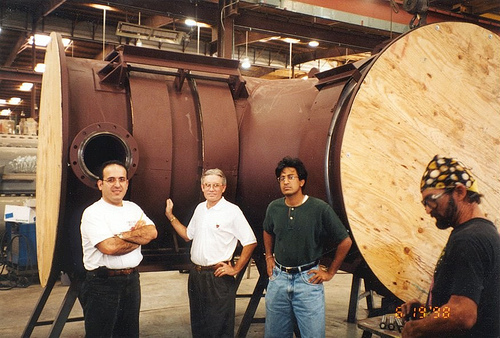 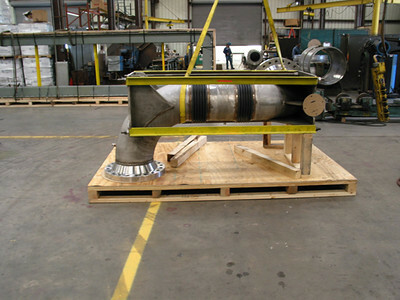 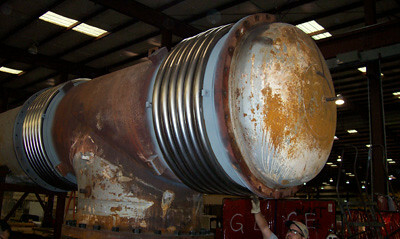 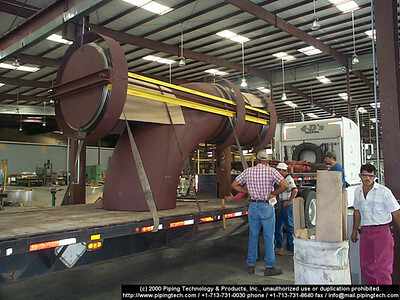 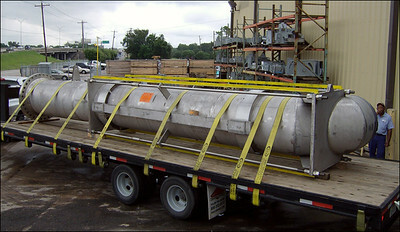 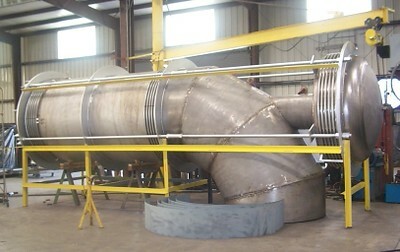 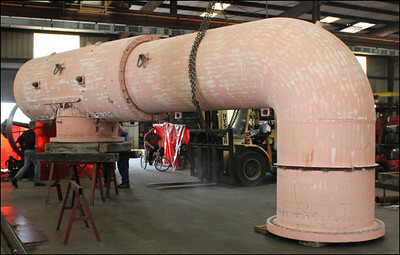 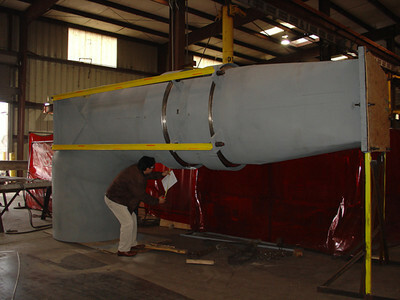 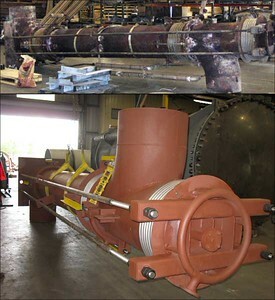 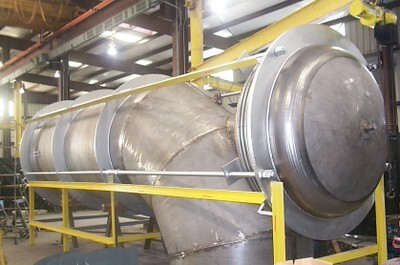 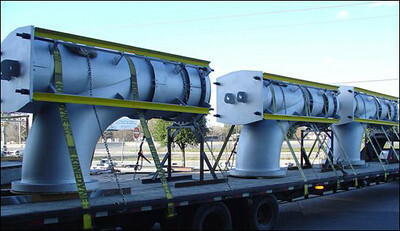 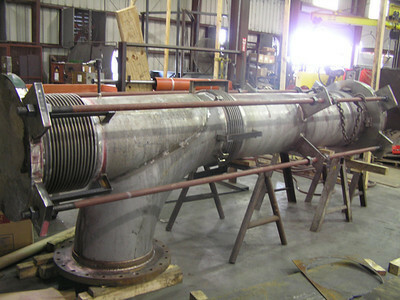 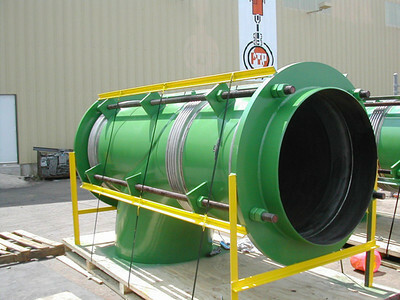 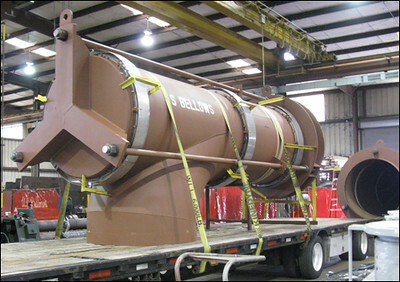 72-inch Universal Elbow Pressure Balanced Expansion Joint designed for a Chemical Plant in Pasadena, Texas. 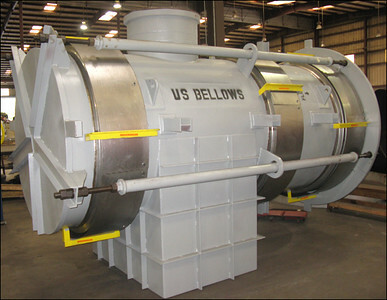 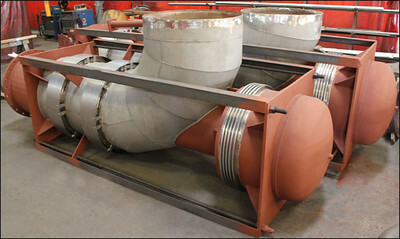 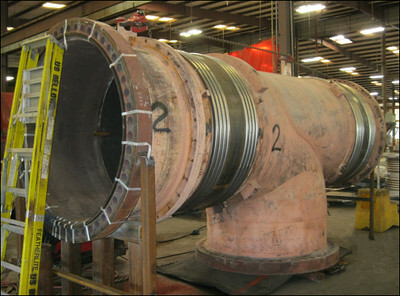 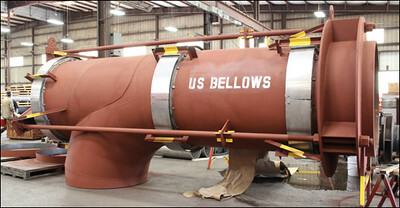 U.S. Bellows, Inc., fabricated four 72-inch expansion joints required for the piping system of a power plant in Zhuhai, China.